This is a blind frisk Au dub drawn by ennji at http://ennji-undertale.tumblr.com/. And I will be dubbing everything, including the asks that have drawings attached to it! For those who audition for asks, please make sure there is only one run because I will be using the audition you submit. For those confused about how to audition for the asks that are in threes, You can audition for all of them under that asker role, as long as you differentiate them like said, 'ask1' and then start reading, or something that you're comfortable with. Howdy! I'm Flowey, Flowey the flower! What the hell is the human doing!?? You literally just saw me three seconds ago!!! Heheh! Who said you were in Control? Frisk? I'll let you see again, all you have to do is let me borrow your body. NYGGGGAAA!!! GET BACK HERE HUMAN!!! So did you come back here to rub your victory in my face? Just point at what you want and I'll get it for you. Well I just wanted to help, B-b-but thank you F-frisk! A-a-are you blind like that a-a-anime character in Mew Mew Kissie Cutie? Such a despicable creature, harming such a harmless youth! Hello My child. Please, my child, turn around and go back upstairs. Old turtle man who is old! Wah ha ha! An Old monster my age, well I'll be! King Fluffy buns is terrible with naming things. He just named the capital 'New Home'! King Asgore, aka King Fluffy buns. Does things for his people though he does regret it. Oh Hello. I didn't see you there! Would you (Sees you are a human, slows down) Like a cup of tea? Bunny shopkeeper, sells cinnamon buns. She's kind too! Hey there, Welcome to the snowdin shop. What can I get ya today? Now those Skeleton brothers? They just showed up one day. Things started getting interesting after they arrived. The Blue bunny Nice Cream guy. He's really nice! Heya there! Would you like some Nice Cream? That's 15 G. What flavour do you want? Oh my god!! it's Undyne!! 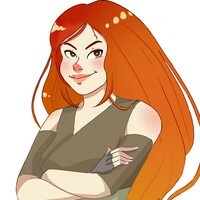 She's so awesome!!!! Shhh don't tell my parents that I snuck out to see Undyne! The show mush GOOO ONNNN!!!! And for the next question! Would you smooch a ghost? PROUDTORTOISEASKED: BUT THE FRIENDLY MESSAGES ON THE WRAPPERS... SURELY THESE WILL NOT BE LOST TO OBSCURITY?? ANONYMOUS ASKED: BLIND!FRISK HANGS OUT WITH UNDYNE. UNDYNE REFUSES TO LET FRISK GET UP AND PICK A DRINK, THEY MUST POINT. FRISK HAS NO IDEA WHAT THESE DRINKS ARE OR WHERE THEY ARE. FRISK WANTS NOTHING MORE THAN TO PULL OUT ALL THEIR HAIR. ANONYMOUS ASKED: UMM HEY!!! I WAS WONDERING, FOR THE BLIND FRISK AU, DO YOU THINK FRISK HAS EVER GOTTEN REALLY MAD OR FRUSTRATED WITH A SITUATION, SO MUCH THAT THEY END UP WAITING TO RESET THE GAME? LIKE, THEY GET SO FRUSTRATED THAT THEY STORM OFF, GET LOST, AND SPEND A GOOD AMOUNT OF TIME JUST SITTING THERE, LOST AND UPSET AND JUST KINDA FEELING AWFUL? ANONYMOUS ASKED: OH WAIT BUT A SMALL BLIND!FRISK THOUGHT; A WHOLE LOT OF STUFF IS ENGRAVED ALL OVER THE PLACE, LIKE THE HISTORY PLAQUES IN THE WATERFALL, AND INSTRUCTIONS FOR THE COLORED BUTTON ROOM (WHICH STILL WOULDN'T HELP MUCH...) SO NOT ALL THE TIME, BUT AT LEAST SOME OF IT, IF FRISK FOUND THEIR WAY BY TRAILING A HAND ON THE WALLS THEY MAY BE ABLE TO GET *SOME* HELP WITH SHENANIGANS BY FEELING OUT LETTERS? ANONYMOUS ASKED: YOU REMEMBER THAT POST ABOUT FRISK BEING ABLE TO FEEL THE ENGRAVED LETTERS IN PLACES LIKE WATERFALL? YOU SAID IT WOULD BE HARD, BUT A BLIND FRIEND OF MINE SAYS IT'S ALMOST AS EASY AS READING BRAILLE, SO IT'S NOT ACTUALLY A BAD IDEA. ANONYMOUS ASKED: WAIT FRISK CAN TELL THAT THE MONSTERS AREN'T HUMAN ATLEAST RIGHT? OR DOES SHE JUST THINK THEY ARE REALLY CRAZY HUMANS THAT WANT TO KILL OTHER HUMANS. ANONYMOUS ASKED: TORIEL BECOMING SUPER TERRI-TORIEL (IM SORRY) OVER FRISK AFTER REALIZING THEIR BLIND AND STALKING THEM THROUGHOUT THEIR JOURNEY TO MAKE SURE THEY ARE ALRIGHT. ANONYMOUS ASKED: //WHAT ABOUT UNDERFELL BLIND FRISK? ANONYMOUS ASKED: THE FIGHT AGAINST ASGORE WOULD BE PAINFUL, HAVING TO DODGE ALL OF THE COLORED ATTACKS FRISK CAN'T SEE. OR WOULD ASGORE PICK UP ON SOMETHING AND NOT KNOW WHAT TO DO ABOUT THE SMALL SIGHTLESS CHILD HE HAS TO FIGHT. ACURIOUSKEYASKED: I HADN'T EVEN THOUGHT ABOUT THE UNDYNE FIGHT, THOUGH! IT'LL BE INTERESTING, CAUSE IF YOU DELIBERATELY AVOID BLOCKING HER BULLETS WITH YOUR SPEAR, SHE REVEALS THAT SHE'S BEEN LOOKING FORWARD TO THIS AS A GLORIOUS CONFRONTATION BETWEEN HUMANITY AND MONSTERS TO PROVE HOW STRONG MONSTERS TRULY ARE. HOW WOULD SHE REACT ON REALIZING THE KID WAS ACTUALLY UTTERLY HELPLESS AND COULDN'T FIGHT? HO BOY . . . ANONYMOUS ASKED: I LIKE TO IMAGINE THAT NAPSTABLOOK WOULD PHASE THROUGH THE CANE, BUT INTERACT WITH A LIVING CREATURE. SO BLIND FRISK WOULD BE WALKING ALONG AND SUDDENLY TRIP OVER NAPSTABLOOK INTO A GROUND HUG. ANONYMOUS ASKED: WOULD YOU MAKE A COMIC ABOUT UNDYNE NOTICING THAT FRISK IS BLIND AND FEELING LIKE SHE CAN UNDERSTAND THEM? ANONYMOUS ASKED: OH MY GOODNESS I JUST REALIZED THAT YOUR FRISK WOULD JUST BE SWEATING BULLETS OVER PAPYRUS' DANGEROUS BRIDGE PUZZLE! THEY MIGHT NOT EVEN REALIZE THAT PAPYRUS IS DECIDING AGAINST ACTIVATING IT AND SO THEY JUST END UP STANDING THERE BEFORE SANS OR PAPYRUS GETS THEIR ATTENTION. ANONYMOUS ASKED: I FEEL THAT FRISK'S BLINDNESS WILL BE MORE APPARENT WHEN ALPHYS INTRODUCED IN THE STORY. ESPECIALLY SINCE SHE HAS A BETTER IDEA ON HOW HUMANS INTERACT FROM WATCHING ANIME (POSSIBLY UNDYNE AS WELL SINCE SHE APPARENTLY WATCHES AL'S AMINE AS WELL). BUT I COULD BE WRONG. JESARUXASKED: HOW IN THE WORLD WPULD FRISK GET PAST THE COLORED TILE PUZZLE?!?!? ESPECIALLY WITH METTATON'S VERSION, IT'S HARD ENOUGH TO EVEN ATTEMPT WHEN YOU CAN SEE. FILLY-SERENITYASKED: ABOUT THE DEATH BRIDGE THAT ANON TALKED ABOUT, THERE IS A REASON WHY YOU CALL TWICE IN EVERY ROOM, THERE IS TWO SETS OF TEXTS THAT YOU CAN GET FROM CALLS. THE BRIDGE IS PAINTED OVER, BUT IN THE SECOND CALL HE SAYS HE EVEN ADDED ROPES TO THE SIDES SO IT WAS LIKE A REAL BRIDGE... A SUPER STURDY BRIDGE. I'D IMAGINE IT WAS SOMETHING AKIN TO A FOOT THICK AND PAP IS JUST THAT DETERMINED TO MAKE IT LOOK SCARY AND EPIC. RISEFROMTHESEA-TOTHESKYASKED: HOW IS BLIND FRISK GOING TO HANDLE THE FIGHTS AGAINST METTATON? SHE'S GOING TO HAVE TO SHOOT AND PROBABLY MISS SO MANY TIMES. ANONYMOUS ASKED: NARRATOR!CHARA TRYING TO DESCRIBE THINGS TO FRISK AND BEING VERY BAD AT IT. ANONYMOUS ASKED: FLOWEY HAS TO BE SUPER CONFUSED RIGHT NOW BECAUSE THEIR DETERMINATION SEEMS TO ALLOW THEIR MEMORIES TO PERSIST THROUGH SAVES, LOADS AND RESETS. ANONYMOUS ASKED: I IMAGINE THAT A LOT OF MONSTERS WOULDN'T UNDERSTAND WHY BLINDNESS IS SUCH A BAD THING FOR A LOST HUMAN. LIKE THEY HAVE MAGIC AND PROBABLY HAVE DIFFERENT SENSES AND WAYS OF REMEDYING IT (LOTS OF MONSTERS ARE SHOWN WITHOUT EYES, ETC. WITH NO ISSUES) SO BLINDNESS MIGHT NOT BE AS MUCH OF A HANDICAP FOR THEM? YOU CAN DO WHAT YOU LIKE WITH IT, THIS IS JUST SOMETHING A FRIEND AND I WERE DISCUSSING. ANONYMOUS ASKED: WHEN A PERSON IS BLIND, THEY CAN'T SEE BUT THEY CAN STILL SENSE HOW BRIGHT SOMETHING IS AND ARE ACTUALLY VERY SENSITIVE TO IT (SUCH AS LOOKING AT THE SUN OR ENTERING A BRIGHT ROOM CAN HURT). SO, HOW WOULD BLIND FRISK REACT TO HOTLAND? MITATIONFLOWERASKED: FOR BLIND!AU, HOW BAD WOULD THE FIGHT AGAINST OMEGA!FLOWEY BE ON THE SCALE OF 1 TO 10? SWEETNEONLIGHTSASKED: WHY MUST THE BLIND FRISK WORLD BE SO SAD? I JUST WANT TO COMFORT THEM WITH HUGS OR SOMETHING! ANONYMOUS ASKED: DOES FRISK HAVE THEIR PHONE? ANONYMOUS ASKED: I JUST HAD A SUPER CUTE THOUGHT: MONSTER KID AND BLIND!FRISK AS FRIENDS BONDING OVER THEIR MUTUAL HANDICAPS AND HELPING EACH OTHER OUT. ANONYMOUS ASKED: IN YOUR BLIND FRISK AU, HOW DID THEY FALL INTO THE UNDERGROUND IN THE FIRST PLACE? ANONYMOUS ASKED: CAN WE SEE GROUP HUGS W/ BLIND FRISK? ANONYMOUS ASKED: METTATON TRYING TO HAVE A POSING CONTEST WITH BLIND!FRISK WOULD BE REALLY FUNNY. ANONYMOUS ASKED: I FIRST THOUGHT THAT THE UNDYNE FIGHT WOULD BE NIGH IMPOSSIBLE WITHOUT KNOWING WHICH WAY TO BLOCK, AND UNDYNE WOULD GET EXTREMELY FRUSTRATED QUICKLY, BUT EVERY TIME ONE OF THOSE SPEARS FORMS IT MAKES A TELL-TALE SOUND. BEING ONE OF THE FEW FIGHTS WITH AUDIO CUES, WILL UNDYNE GET DUNKED ON BY FRISK? 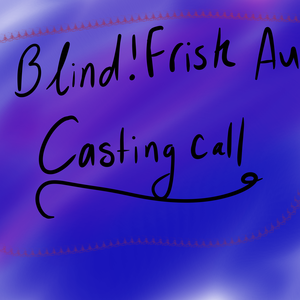 ANONYMOUS ASKED: BLIND!FRISK AU IDEA. WHEN SANS MENTIONS GOING TO GRILLBY'S THERE IS A SMALL SENSE OF DREAD, BUT WHEN SANS DOES HIS 'SHORTCUT' IT'S A RELIEF. NO MORE LONG WALKS, AND INSIDE IT IS WARM AND THE MUSIC IS PLEASANT. ANONYMOUS ASKED: OH JEEZ, IF FRISK CAN'T SEE, CAN THEY FIND THE SAVE POINTS? ARE THEY STARTING FROM THE VERY BEGINNING EVERY SINGLE TIME? ANONYMOUS ASKED: CHARA TAKING OVER BLIND!FRISK'S BODY AND TURNING BLIND THEMSELVES? WOULD THAT BE A THING OR...? IT WOULD BE PRETTY FUNNY THOUGH. ANONYMOUS ASKED: BLIND CHARA VS SANS, ONLY SANS DOESN'T NEED TO DODGE, AND STARTS DEMANDING TO KNOW HOW CHARA MANAGED TO BEAT ANYBODY LIKE THAT. ANONYMOUS ASKED: I KNOW THEY'RE SEPARATE AUS BUT WHAT IF PHONE!FRISK'S CHARA MET WITH BLIND!FRISK? ANONYMOUS ASKED: IF YOU CALL PAPYRUS BACK AT THE "DANGEROUS DEATH BRIDGE", HE TELLS YOU IT'S JUST A ROCK FIXTURE PAINTED OVER. DOES THAT MEAN THERE'S NO ROPES TO HELP SOMEONE ACROSS, YOU THINK? ANONYMOUS ASKED: HEADCANON: BY THE TIME FRISK MAKES IT TO THE CORE, SANS' NOTEBOOK IS FULL, AND THE COUNTER APP ON HIS PHONE IS DISPLAYING A "DATA OVERFLOW" (THE NUMBER IS TOO BIG FOR THE BITTAGE IT'S BEING RECORDED IN) ERROR. MOSTLY FROM HOTLANDS. ANONYMOUS ASKED: GIVEN HOW IT'S ACTUALLY POSSIBLE TO DIE TO TORIEL (EVEN IF IT'S INSANELY HARD TO DO) IF YOU MOVE SUDDENLY IN CERTAIN WAYS WHEN SHE'S TRYING NOT TO HIT YOU, AND HER ATTACK PATTERN CHANGES DEPENDING ON YOUR HP, I HAVE TO WONDER HOW MANY TIMES SHE TORCHED BLIND FRISK BY ACCIDENT SINCE THEY DODGE BASED ON MEMORY RATHER THAN SIGHT. ANONYMOUS ASKED: MAN, WITH HOW MUCH RIDICULOUS SAVE/LOADING BLIND FRISK DOES, THAT MUST BE EXCRUCIATINGLY ANNOYING TO FLOWEY. BECAUSE LIKE, IT'S ONE THING WHEN YOU'RE A GUY WHO JUST SEES A NOTEBOOK FULL OF HALF-FINISHED, BARE-BONES INFO, BECAUSE HE STILL FEELS LIKE TIME IS MOVING NORMALLY. ITS A WHOLE OTHER STORY WHEN, EVERY TIME FRISK ENCOUNTERS SOME OBSTACLE, YOU'RE SUDDENLY CONSTANTLY AND PERPETUALLY LOOPING EVERY 10 SECONDS FOR GOD KNOWS HOW LONG. TECHN0GIRLASKED: CHARA'S FREAKING OUT AND I WANT TO KNOW IF FRISK IS REALLY ALRIGHT. D: DID THEY GET SOME KIND OF CONCUSSION? ANONYMOUS ASKED: I'M LOVING THE BLIND!FRISK AU SO MUCH! SO I JUST RECENTLY REPLAYED UNDERTALE AND AS I WAS GOING THROUGH THE ASKS, A QUESTION CAME TO ME: HOW IS BLIND!FRISK GOING TO EVEN ACTIVATE THE SOUL GUN WHEN THEY HAVE TO PUSH THE YELLOW BUTTON? I WOULD BE KIND OF FUNNY TO SEE THEIR SOUL DO CIRCLES FROM THEIR BUTTON MASHING. ANONYMOUS ASKED: (BLIND!FRISK) "*YOU KNEEL AND PRAY FOR SAFETY..." WOULD WHIMSALOT OR REAPER BIRD GET DIFFERENT REACTIONS OUT OF THIS? ALSO, HOW DID THEY GET PAST THE OTHER MONSTERS, LIKE FROGGIT AND SNOWDRAKE? ANONYMOUS ASKED: I LIKE TO THINK THAT IN THE BLIND FRISK AU THAT SANS DOESN'T GET A WHOLE LOT OF TIME TO MAKE NOTES TO HIMSELF. SO WHILE HE MIGHT MAKE NOTES CONCERNING FRISK'S WEIRD BEHAVIOR EVERY FEW RESETS HE'S USUALLY NOT QUICK ENOUGH TO MAKE A LOT BEFORE FRISK RESETS SO THEY CAN GO THROUGH THE THING NORMALLY. ANONYMOUS ASKED: GERSON IS A VETERAN OF THE WAR OF HUMANS AND MONSTERS, SO THERE'S NO WAY HE DOESN'T KNOW WHO YOU ARE, BUT HE'S FRIENDLY AND HAPPY TO SEE YOU ANYWAY. I WOULDN'T BE SURPRISED IF HE WAS REALLY ON POINT WITH FIGURING OUT BLIND!FRISK'S PROBLEMS, AND JUST, TAKING THEM IN OUT OF THE COLD MOISTURE OF WATERFALL AND SHARING STORIES OUT OF THE COLD IN HIS CAVE. ACURIOUSKEYASKED: FUN FACT, YOU CAN'T DIE ON THE QUIZ. ONCE YOUR HEALTH GETS LOW ENOUGH IT SKIPS TO THE MEW MEW QUESTION AND YOU CAN'T TAKE ANY MORE DAMAGE. LIKE EVERYTHING BEFORE METTATON'S ACTUAL FIGHT, IT'S A SHAM. ANONYMOUS ASKED: DOES SANS KNOW IF A LOAD HAPPENS IN THE BLIND!FRISK AU, OR DOES HE FORGET LIKE MOST OTHER CHARACTERS? ANONYMOUS ASKED: WELL, FOR UNDONE FIGHT, FRISK ONLY NEEDS TO FIGHT HER A LITTLE BIT AND THEN BAIL SO FAST? ANONYMOUS ASKED: THE DOG MARRIAGE SHOULD BE INTERESTING, HE CAN'T READ THE SIGN AND PROBABLY WON'T KNOW WHAT TO DO. I WONDER IF THEY'LL REALIZE HOW DEFENSELESS HE IS AND DECIDE HE COULDN'T BE A DANGEROUS HUMAN, EVEN IF HE SMELLS FUNNY? ANONYMOUS ASKED: SO, DID SOMETHING HAPPEN WITH THE SPIDER BAKE SALE ON THE RUINS? OR DID FRISK JUST SKIP THEM? SWEETNEONLIGHTSASKED: D'AWW, SNEEZY CUTIE~ FRISK FINALLY GETS A CHANCE TO RELAX, EVEN IF IT'S BECAUSE THEY'RE SICK. LETSALLBECALMCHAPSASKED: MAYBE IN FIGHTS FRISK COULD USE THEIR HEARING TO LISTEN TO THE BULLETS AS THEY FLY THROUGH THE AIR? ANONYMOUS ASKED: PTA!SANS AND BLIND!FRISK VS THE PTA MOM FROM HELL? AHALFOFONEFORBREAKFASTASKED: IS THERE A REASON FRISK ISN'T TELLING ANYONE THAT THEY'RE BLIND? ANONYMOUS ASKED: SO DO THE MONSTERS FIND OUT END OF GAME THAT FRISK IS BLIND? OR DO THEY DESPERATELY TRY TO KEEP HIDING IT? ISEBMAN09ASKED: CONSIDERING THAT ANON'S IDEA, WHAT IF FRISK HAD TO GIVE WATER TO UNDYNE EVERY NOW AND THEN? ANONYMOUS ASKED: I'D LIKE TO THINK IN THIS AU, IF METTATON PICKED UP ON THE FACT THAT FRISK WAS BLIND THEY'D GO THROUGH THE EFFORT OF MAKING SURE IT'S STILL A GOOD SHOW (EVEN FOR THEM) BY MAKING SURE TO TURN THEM TO THE RIGHT DIRECTION OR DESCRIBE A SCENE MORE THAN USUAL. OF COURSE IT'S ALL DONE WITH THE SAME CHEERY VOICE AND SWEEPING GESTURES, SO IT SEEMS NORMAL. I ALSO WONDER WHAT ALPHYS WILL DO FOR THEM. HAVING BEEN WATCHING THEM THEY HAVE TO KNOW ABOUT BEING BLIND. CONVEYOR BELTS AND STEAM JETS WILL BE HELL. ANONYMOUS ASKED: BLIND FRISK AU GENOCIDE RUN. CHARA OFFERS FRISK THE GIFT OF SIGHT IN EXCHANGE FOR TAKING OVER.